Serving Corpus Christi from the basement of the Wells Fargo building down town for lunch and for catering and special events, Come by and see us! Comfort food, or soul food, is not one of those cuisines that have a hundred of dishes that chefs need to choose from. It is simply a handful of specialties that have been perfected over time. Dr. Maurice G. Portis aka "Doc" and his wife of over 50 years, Dr. Verna Johnson Portis have lived in Corpus Christi since 1969 and Doc was the West Oso High School Bears' Band Director, a title he held for more than 30 years. "Doc" retired in 2002 he wanted to open a restaurant that was simple and served nothing but good old-fashioned home-cooking. In 2003 Portis Kountry Kitchen, Katering and Gifts opened its doors to serve traditional soul food to hungry locals. This cozy hidden gem is in the BASEMENT of the Wells Fargo Bank Tower! It is a local cafeteria style lunch favorite and well known by many who work in the Downtown area of Corpus Christi, Texas. However, there is also a beautiful dining area with white linen tablecloths that is the perfect quaint spot to host a beautiful dinner party! Catering is available for birthday parties, business networking meetings, anniversaries, they've even served as a venue for small weddings! They have a sound system as well and if you're lucky, Dr. Portis might even sing you a song! The food is homestyle, delicious, and inexpensive. You’d be hard-pressed to find better soul food anywhere else in town! & Seasonal Pies from this restaurant, are the stuff of legend! There is also a boutique gift shop in the restaurant with all kinds of unique items, so fun to eat and shop in this outstanding establishment! The secret to our success over the past 16 years is providing a good product, and being consistent with it, that and our quality services here at the Portis Kountry Kitchen. First day in Corpus for vacation and wanted something besides seafood. Will have seafood another day. Found Portis Kountry Kitchen online and decided to try it out considering the positive reviews. It did not disappoint! Tricky to find in the basement of Wells Fargo Bank tower but, so worth finding! Real roasted turkey not processed water added turkey, green beans,yams,stuffing, fried chicken, mashed potatoes, gravy, sweet potato pie.... everything was delicious and the best soul food I have eaten in any restaurant! Dr. Portis ( Mr. Portis) graced our table with his wonderful presence like he was a long time friend. Reasonably priced and great atmosphere, nice friendly service along with a gift shop. Will return again probably tomorrow. I wish they had a restaurant in Houston but, since they don't, another reason to come back to Corpus. Amazing hospitality from the staff and Dr. Portis. The food was absolutely delicious. Honest to goodness soul food. Thank y’all so much for the hospitality and the special solo song from Dr.Portis! The partners at HEB Moore Plaza sure loved eating here today. I had the brisket with a side of mac&cheese & mash potatoes. Corn bread & the white powder cookies 4dessert. I wanted 2leave with the whole plate of corn bread,it was very delicious! It was all very tasty! Bien Bonne!!!! Had a plate lunch w/ luscious chicken and dumplings, black eyed peas, green beans and a roll. They threw in a little piece of perfect fried chicken and a nub of the best restaurant cornbread I ever ate. The service was stellar. Eat here!!!! 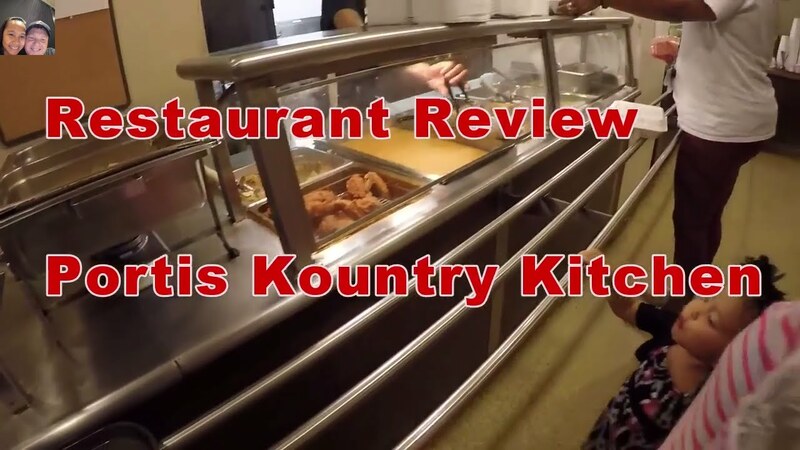 Restaurant Review: Portis Kountry Kitchen plus Dr. Portis sings!